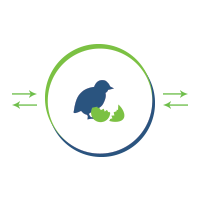 Lay-Insight, Broiler-Insight, Turkey-Insight and Duck-Insight are strong, innovative management tools for the poultry industry, based on scientific self-learning algorithms, using your enterprise data to further improve and optimize your production and business process. They are designed to support managers in taking proper decisions concerning their daily business, as well as the strategic decisions they are facing. What came first: the chicken or the egg? The only thing that matters is the end result. 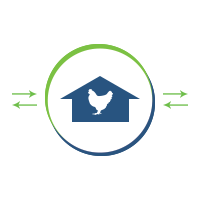 Porphyrio’s expertise builds on the latest know-how of Big Data technology and Biostatistics combined with Poultry Science and Poultry Production. 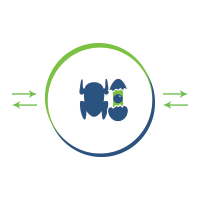 It is that expertise that enables us to offer you systems to support you in optimizing your business process to the fullest. Gather all data centrally regardless of location, the type of computers, sensors or software currently being used. Data can be collected either automatically or entered manually. When critical parameters deviate too much from expectations, you will be alerted. This way you can respond quickly and will not lose precious time and therefore not lose any money. Daily priorities, as well as long-term strategies, based on scientific research, can be viewed at a glance, contributing significantly to the efficiency of the production processes. 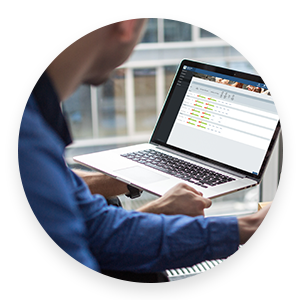 The dashboard is completely customizable by configuring your company-specific parameters. This enhances the efficiency of using the system. Available in your language. With a few clicks any flock (historical, actual) within your organization can be compared easily for any technical and financial parameter, allowing you to see effects of actions taken. 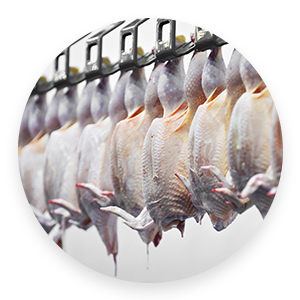 Supply of the live bird to the processing plant or wet market is optimized well in advance taken into consideration growing cost, transport cost and processing cost. 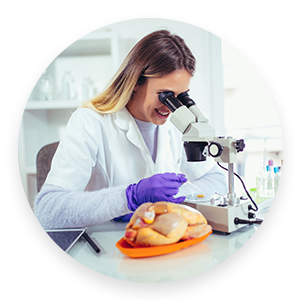 Tracing back animal health related issues is the key to move forward to ensure food safety in the poultry production chain and avoid any additional recall costs. 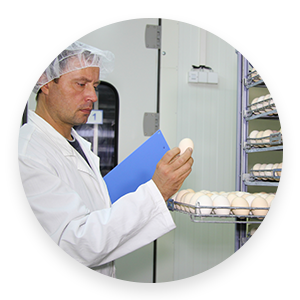 Accessibility by different stakeholders in the entire production process, each having their own responsibility but sharing a common interest, contributes to the strength and benefits of Lay-Insight, Broiler-Insight, Turkey-Insight and Duck-Insight. Safe, quality and affordable food production can only be achieved if the safety of the complete production chain is guaranteed and optimized. The poultry production chain starts with the birds at the poultry farms. Keeping control of the animal production and performance guarantees the optimum start to the production chain. 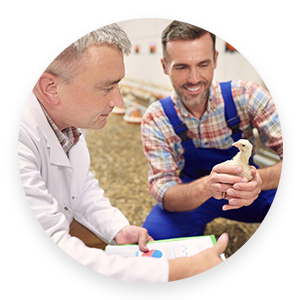 Monitoring and analysing the process at both a flock and farm level on a continuous basis over a longer period, will enable managers to focus on the relevant items for achieving their objectives. Because each flock or farm is unique, a combined approach of technology, science and poultry expertise is needed. Any administration that involves manual data input should be minimized to avoid errors and to improve efficiency. This is done by spending less time entering data or by focusing more on the output of the data. 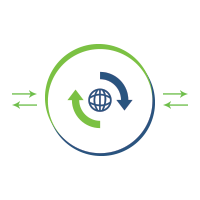 Automatic data collection or data transfer via the cloud or even semi-automatic data input (scanning of flock charts) allows companies to restructure and speed up the flow of data recording and hence of reporting. You can only hatch an egg once. So it has to be done correctly. Since each origin is different, the result of your hatching process will make each flock unique. Combining flock data with its origin data ensures that specific additional information about the flock’s expectations is obtained. 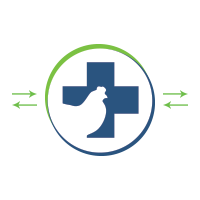 The objective in the poultry industry is to reduce medication without compromising a bird’s health or wellbeing. All parameters describing and contributing to the health of the animals should be linked to the production process. By doing so, an optimized health programme, including vaccination schemes, diagnostic sampling (animals, blood, faeces, etc.) can be determined by the veterinary department. 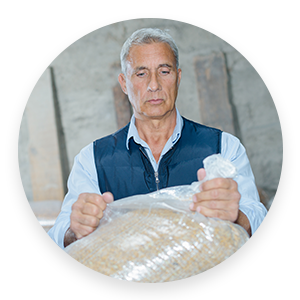 Feed costs can be as high as 70% in the total production cost. Any information contributing to the accuracy of the value of the feed in terms of composition, as well as in terms of performance, will result in an immediate financial benefit. 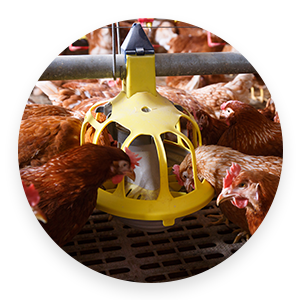 Monitoring and analysing the immediate relationship between feed/raw material intake, calculated nutrient intake and measured output (weight gain, egg mass) on a continuous basis provides this accuracy. Nothing is more frustrating than offering the wrong product to the market. 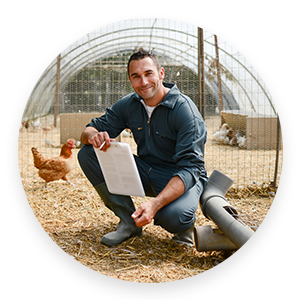 The success of a poultry business depends on having the correct product, at the right time for your customers. Such accurate predictions, based on self-learning algorithms, about both product quality and quantity can only result in an improved usage ratio and improved product value. 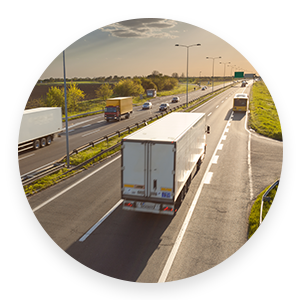 In a chain-organized production process, the relationship with the logistics department is continuously present as each activity in the process results in a product that needs to be transferred to the next location/activity. 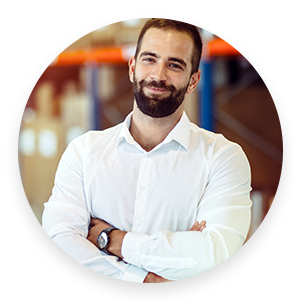 Communication, timing and accuracy are key elements in organizing logistics well. 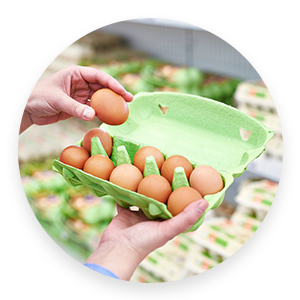 In a consumer-driven market, the traceability of a product and the transparency of the process are essential elements in the relationship between consumer and producer. Cloud-based solutions are ideal for achieving this, as anyone could have access to verify what they just bought at the food market/store. 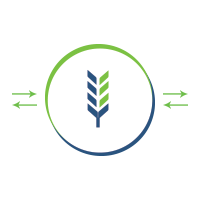 Minimizing feed raw material costs taking into consideration expected long term needs will become easier by using accurate feed consumption predictions. 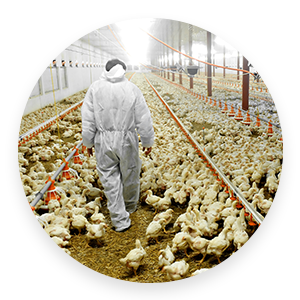 Combing short term and long terms market needs with short term and long term poultry performances will enable optimizing the supply to the processing plant, resulting in increased margins. Monitoring and registering the complete production process in one well organized central file, which can be consulted from any location at any time, is the basis for any Quality Control Manager in order to follow up the production process.